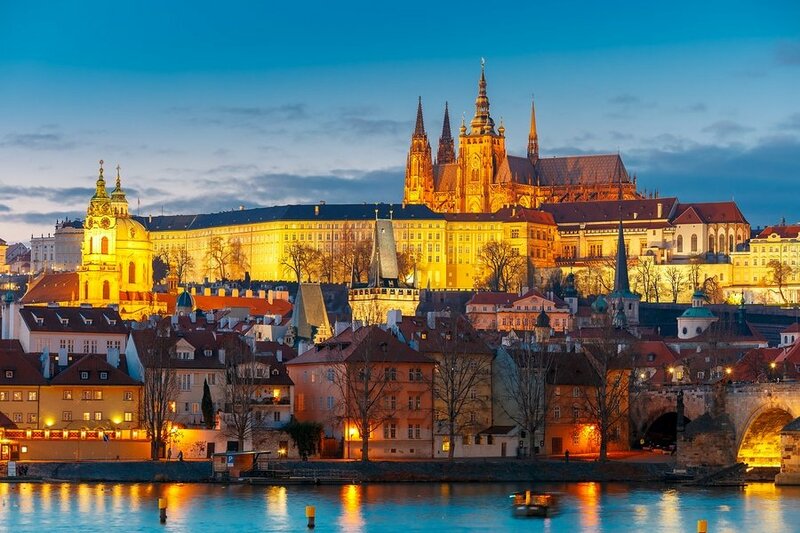 One of the world’s most beautiful and compelling cities, Prague has old world charm with its picturesque river, ancient cobblestone streets, vibrant squares and medieval churches. Prague is a unique and magical place; most of the time you’ll be sharing that magic with thousands of other visitors. 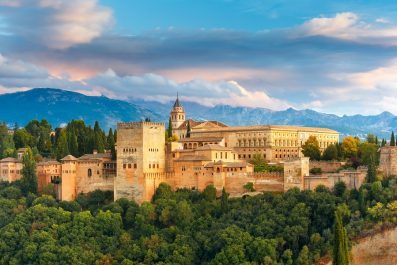 But there’s a reason why they come – its architectural wonders, the world’s best beer, lovely bridges, historic gardens and parks, great coffee, classical music, as well as its nearly a thousand towers and spires. 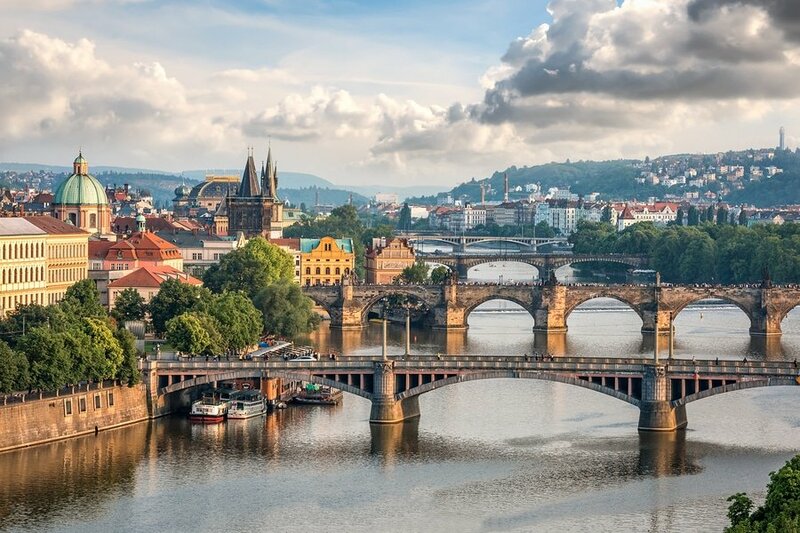 There’s simply no end to reasons why Prague charms everyone who visits. In this suggested itinerary for 72 hours in Prague, you will be able to see much of Prague’s best attractions, places to eat and places to go for shopping. 1.Currency – The Czech Koruna (CZK) is the official currency of Czech Republic. Although the Czech Republic is part of the European Union, the Euro is not widely accepted. Some restaurants and shops accept Euros, but mostly accept only Czech Koruna. 3.Etiquette – Czechs are formal and reserved. When you enter or leave a shop, you should say “Dobrý den” (Good day), “Dobrý večer” (Good evening) or “Na schledanou” (Good bye) respectively. This also applies if yo are sharing a table with strangers in a restaurant or pub. The idea behind these formal greetings is that you acknowledge someone’s presence which is very polite if you think about it. 4.Getting Around – Prague’s public transport is excellent. For our suggested itinerary, purchase the 3-day pass (72 hours) which costs 310 CZK (12 USD). Passes can be used on any type of Prague public transportation (all bus, metro and tram services) for the duration of the period for which the pass is valid. Biking as a mode of transport in Prague has many positives and negatives which need to be considered. Unlike other European cities, Prague does not have a fully developed cycling infrastructure so biking can be a challenge for some. 5.Safety – Prague is safe and the locals are kind to tourists. However, be careful with pickpockets as pick pocketing is the most common crime in Prague. Be careful on crowded trams or trains and know what’s happening around you. It is also advisable to carry a money belt instead of a hand bag so that you can fully appreciate the beauty of Prague without having to worry about your belongings. The cheapest options to fly to Prague from the US are with Aeroflot via Moscow or with Norwegian via Oslo with dates in March starting at 509 USD. From Hong Kong a round-trip ticket can be found for 499 USD (plenty of dates in December). From Tokyo the lowest price for a round-trip at the moment is 547 USD and from within Europe – less than 100 USD for a round-trip ticket. Check current prices on Tripadvisor. Unless breakfast is included in the price of your accommodation, the traditional spot for breakfast in Prague is in the Old Town Square. A typical breakfast in Prague includes some bread, ham, cheese, soft boiled egg, bundt cake and hot chocolate. Some of the restaurants you can try are Cafe Savoy, La Gastronomica, Cafe Louvre and Cafe Jen. 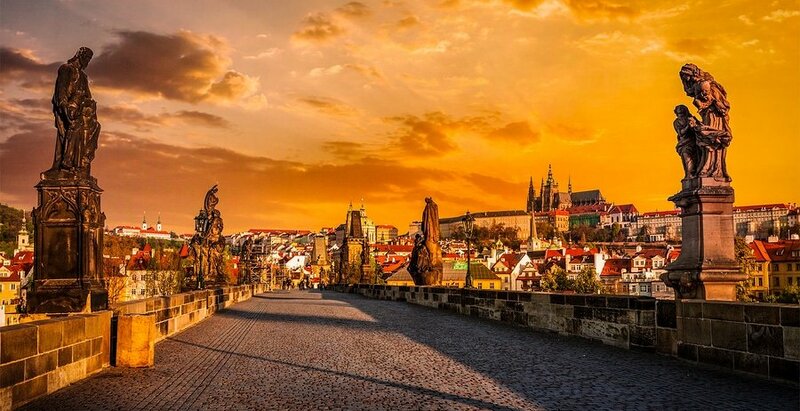 Start your tour at the heart of Prague’s historical center, the Old Town Square. Being the the oldest part of Prague, the Old Town Square has several historical attractions. Walk along the Celetná Street, a significant street in the Old Town full of architecturally and historically important houses. 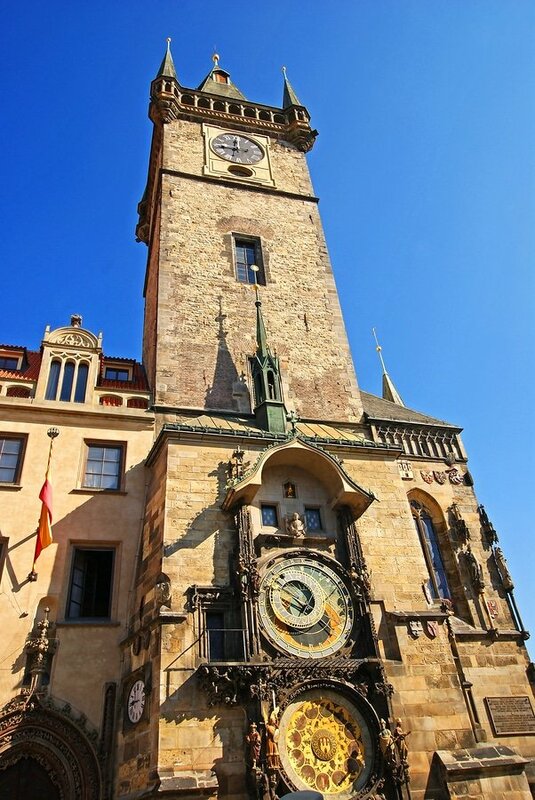 Visit the Gothic Powder Tower which used to be a gate to Prague in the middle ages. Next is the exquisite Municipal House (nám. Republiky 5, 111 21 Praha 1, Czech Republic; tel: +420 222 002 129), Prague’s most prominent Art Nouveau building. Then visit the Church of St Nicholas (Malostranské nám., 118 00 Praha 1, Czech Republic; tel: +420 257 534 215) and marvel at the impressive beautiful ceiling paintings that showcase the life of St Nicholas and St Benedict. In the afternoon, climb to the top of the Old Town Hall tower. This is one of the best places in Prague to view the entire square. And at night, walk across Charles Bridge, a famous bridge that crosses the Vltava river. It is best to do this at night so you can marvel at the magnificent views of Prague Castle. Start your second day by exploring Lesser Town Square (Malostranské náměstí), the heart of Lesser Town. This district, situated at the foot of the Prague Castle, is dominated by many impressive buildings with Renaissance and Baroque style. Your first stop is the Church of St. Nicholas, the magnificent Baroque style church that dominates the center of the square. Next stop is Plague Column, also known as Holy Trinity Column, a monument constructed to celebrate the end of the bubonic plague or “Black Death” in the medieval ages. Then you may visit other notable buildings in the Lesser Town such as Liechtenstein Palace (Lichtenštejnský palác), Smirický Palace and Sternberg Palace (Šternberský Palác). Prague Castle and Mala Strana or Little Quarter at night, Prague, Czech Republic. It is in the Lesser Town Square that you will find exquisite, simple and authentic restaurants serving delicious Czech dishes. Be sure to ask for Poledni menu (or lunch specials) as tourists are not normally given this list. Or you can try the Czech roasted duck accompanied by the tasty Czech beer. After lunch, walk towards the Strahov Monastery and the Prague Loreto. These two are close to Prague Castle, which you will be touring for 3-4 hours, depending on your personal preference. You may also have your lunch earlier and be in the first courtyard of the Castle at 12:00 to catch the Changing of Guards Ceremony. When touring Prague Castle you can avail tours guided by professional guides of Prague Castle Administration. 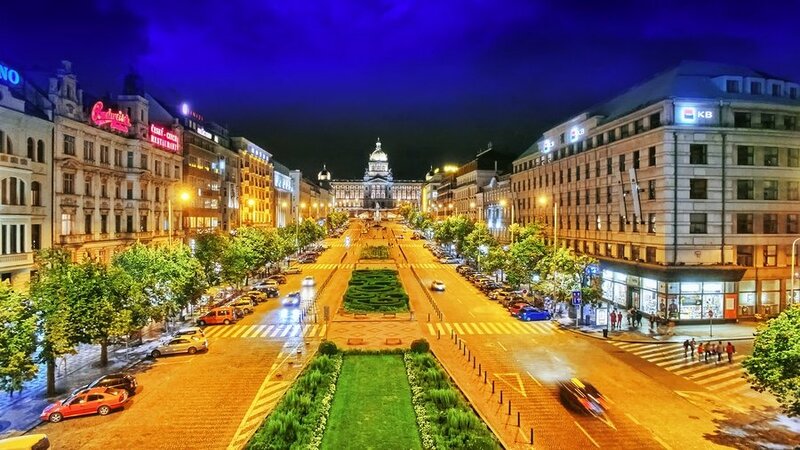 In the evening, avail a night cruise, savor a 3-course dinner and enjoy live piano music as you sail Vltava River (or just indulge yourself in cheap food and local beer in one of the bars and restaurants in the town center). Taking in to consideration that you most likely stayed out rather late the other night, you can start your third and last day in Prague at around 10 to 11 in the morning. You can dedicate this day wandering around Wenceslas Square (Václavské náměstí), one of the two main squares in Prague which is located at the heart of the New Town (Nové Město). This is a vibrant area full of bars, restaurants and shops. You can do your souvenir shopping here as well. Stuff that you can purchase are: Czech crystal, traditional handicrafts, Becherovka Herbal Liquor, Czech beads and jewelry. Or you can start out early and make the most out of this day, you can do a day trip to the historic centre of Český Krumlov. 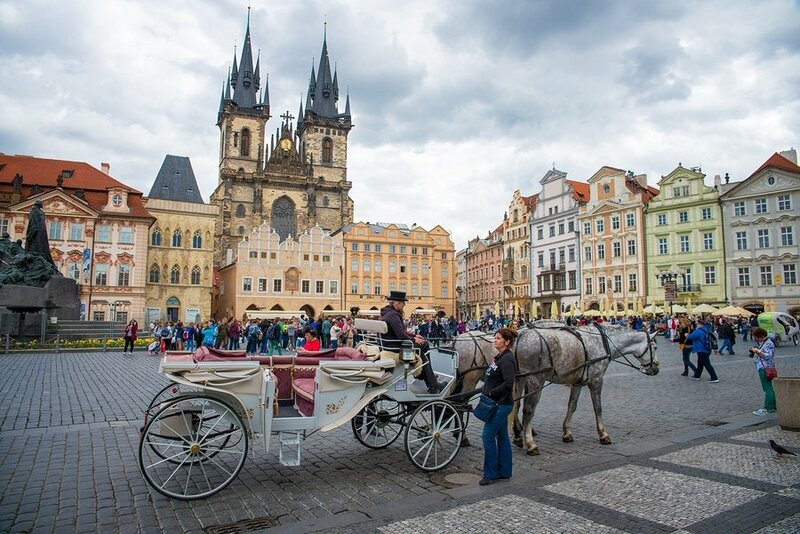 This fascinating old city in the Czech Republic is a top day trip destination for travelers, history buffs, and honeymooners. Its 13th-century castle with Gothic, Renaissance and Baroque elements is one of the famous attractions in Český Krumlov. 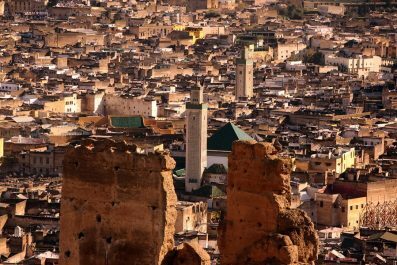 A small medieval town surrounds the castle which is a truly charming sight. 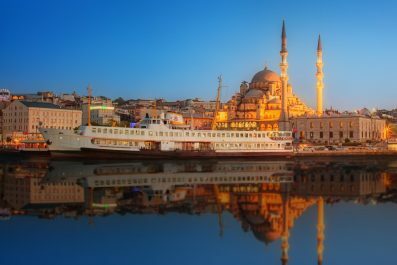 Because of its popularity, you’ll be sharing this charming place with many tourists. An overnight stay is recommended so you can appreciate its beauty after the tour buses have departed. Have you been to Prague or anywhere else in the Czech Republic? Do you have any tips or suggestions to share? If so, you can leave your comments below. Damned tourist, stay home, we greet people only.